"The traverse up to the back tee is well worth the effort. A spectacular tee shot into a tight right swinging fairway is protected by two right-hand side bunkers, tempting the long hitter to unleash and make the 280-yard carry. "The green runs away from the player, taxing their skills to control the ball. 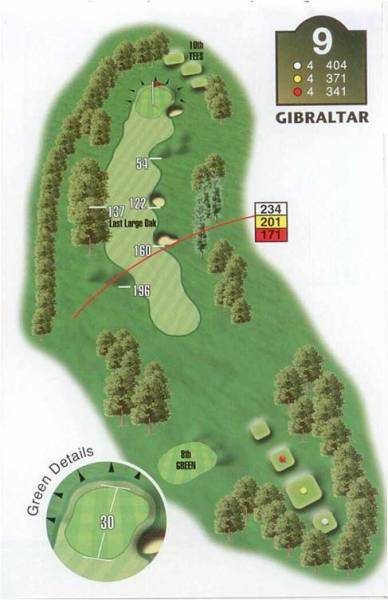 The green is unforgiving, causing any slightly misdirected shot to run off and making this an unexpected challenge."